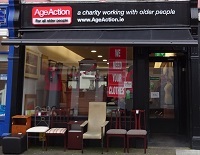 Our newest charity store is located in the heart of Galway city at 3 St Francis Street directly across from the Abbey Church. From the very first day we opened our team has been blown away by the terrific reaction to our latest store with a huge variety of top quality donations coming in every day. 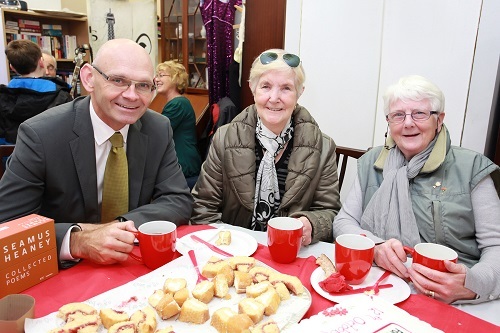 Store manager Bernice is delighted with the response and says that the store is already building up a following of loyal, regular, customers who are looking for the very latest bargains. All donations are carefully hand selected by our trained staff and volunteers to enhance your own personal style, but also allowing for a change in taste to occur with our many elegant pieces in store. Customers can find excellent value when browsing through the shop’s wide array of designer and contemporary clothing, hats, bags, shoes and jewellery. You will also find a wide range of collectables, china, glass, ornaments, pictures, mirrors and household furniture. We’re always looking for more donations to place keep us in mind for you’re the next time you’re clearing out the house!